One of life’s simplest pleasures is cultivating our surroundings with the little things that inspire us. Many of us have our own collections of special items that we consider to be exquisite or rare, and certainly of great personal interest. I have a fondness for vintage sewing tools, which I’ve written about before. My son, Brian Hart Hoffman, has a broad and remarkable collection of new and vintage coupe cocktail glasses. His passion for these glasses began several years ago, and ever since then I’ve kept an eye out for vintage coupe glasses during my antiquing travels. His collection now includes dozens of gorgeous coupes, both old and new, domestic and imported. 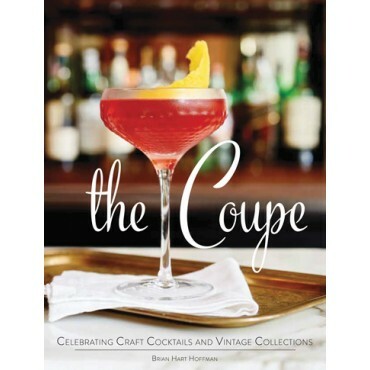 In honor of the storied glass that has fascinated tastemakers for hundreds of years, Brian has recently published his first book, The Coupe, which is available for pre-order now. Many of the glasses I’ve given him over the years are featured in its pages. I sat down with Brian to ask a few questions about the book and about coupe collecting in general. Many of his responses could apply to any vintage glassware collection. I hope you enjoy! Brian: I have a collection of some great cocktail books on my shelf at home, and I was always turning their pages looking for recipes that can be served in coupe glasses. That’s when I realized that no one had ever written a book inspired by a specific piece of glassware – and for me, it had to be about THE COUPE! Brian: First and foremost, buy what you love! Purchase a variety of sizes and silhouettes. Coupes are available in many styles, ranging from glasses with statuesque stems to chunky cut glass. Brian: I’m always on the lookout at antiques stores, junk shops, flea markets, online auctions, and traditional retailers. Brian: Don’t feel confined to using a matching set when entertaining. I like to serve cocktails in an assortment of styles! Brian: Larger coupes are great for serving elegant desserts that are easy to prepare ahead. 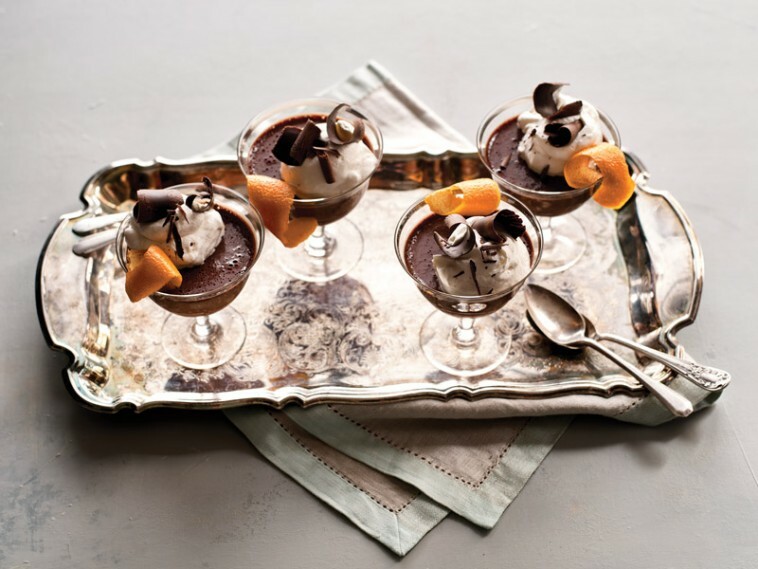 The Coupe has a dedicated section of dessert recipes that are perfect for Coupe glasses. They range from a beautiful Rosemary Pear Sorbet to a decadent Salted Butterscotch Pudding. 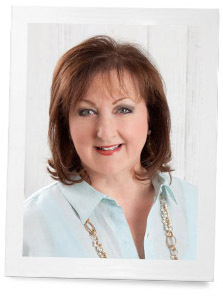 Phyllis: What’s the average price range for vintage glasses? Brian: There’s really no rule of thumb. Many great glasses can be scored for a few dollars or less. Set a maximum price for what you want to pay, and have fun collecting. Phyllis: Is there anything in particular we should look for when buying vintage glasses? Brian: Be sure to carefully inspect each coupe for chips and cracks, and don’t let a little dust or dirt scare you! Do you have any vintage collections? I thought the same thing Laura!! I love glassware of all kinds, and china, and silver! I love my collection of after dinner coffee cups and often serve pot de creme in them! It is nice to find new ways of using so many of our treasures! I never heard of Coupe glassware….but I may have some that belonged to my Mom…how do I know ??? them easy for his large hands. The butterscotch I will definitely make! I will purchase The Coupe publication as we are not big drinkers and I use all my wine glasses primarily for desserts except for when company/guests come and can take advantage of the different sizes and shapes with special dinners. Thanks for yet another unique publication from Hoffman where it seems like the creative juices flow! and china and was most generous in buying it for me. Now I am delighting in soon passing it on to The Grands. ware. I have ordered a book for her and one for reference! Thanks, Brian, for this work of love! Great. Now I want some salted butterscotch pudding! In a coupe, of course! What a brilliant idea, Brian! I love using antique “coupes” for not only cocktails, but also shrimp on ice, desserts, or just to hold a small amount of specialty nuts on a drinks tray. The coupe glasses are so charming, every year at Christmas, after a long, lingering dinner, we serve one small scoop of ice cream in tiny, diminutive French antiques “coupes”, plated on antique saucers with a decadent chocolate. Long live the Coupe! For the past few years, there’s been a trend in France to serve appetizers and desserts in “verrines,” or small glasses. It’s quite pretty and could easily be extended to coupes. And champagne is always a good idea, too!